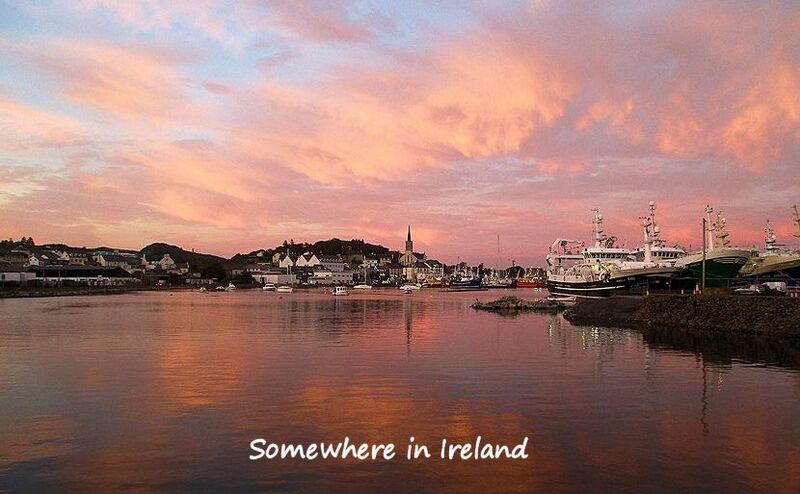 Somewhere in Ireland: Why Ballinrobe? Before we started selling some stuff, giving away a bunch more, and packing up the little bit that was left, we started looking on Daft.ie for possible places to rent in Ireland. For no particular reason, except that it felt right, I knew that I wanted to stay in the west of Ireland, and Bill’s grandparents were from there, we narrowed things down to Galway and environs. Bill started looking at listings on Christmas Day. I was trying to not think about what was coming--I generally like being in a new place, but not the prep work required to get there. We had just found out a few days earlier that the company Bill was working for would probably be sold and at that point, we had no idea what our timetable would be beyond the last day of work for the old company, which would be February 11. I wanted to forget the uncertainty until after the holidays, but as always, Bill was eager to do something to get the process rolling, so Daft.ie it was. He looked at a bunch of listings and we had no clue where they were, so there was googling and looking at the map we had on the wall in the bedroom trying to get some sense of things--especially whether a place was on a bus route! Thus began his regular visits to the site and he started his “saved listings” list, which changed as some listings were not renewed, a few were rented, we removed some and added others. Sometime in February or March, he added County Mayo to the search and discovered that there were nicer places available for less money there. Since it didn’t matter to us, we kept Counties Mayo and Galway in the search and places from each in the saved listings. When we got to within a week of our departure, we contacted a couple of people about their listings. These were individuals and not letting agents. We thought we might be able to set up appointments to look at the places they had available (and had had available for some time, because the site tells you how long a place has been listed and what the price history is) and plan our days accordingly. No one replied. We left there and arrived here with no specific plans, except to try to rent a place within a week and to go to the local Tesco to buy a pay-as-you-go phone the day after our arrival, which we did with no problems at all. The lovely woman behind the customer service desk even set it all up for us! We had decided that it would be much easier to contact people if we had a phone number to give them. We then proceeded to spend most of Saturday organizing and planning so we would be ready for Monday. Bill had his computer on and I had mine on. He went through the listings he had saved and looked at new ones. I googled town information, maps, bus routes, etc. At the end of the day, we discovered that we had several listings in Ballinrobe and a couple of nearby towns and all of them were listed by the same agent. We looked into Ballinrobe. At this point, our requirements were few--decent grocery store, bus service, and small apartment/house/whatever. Ballinrobe had those things, so we decided that the best thing would be to call the letting agent on Monday morning and go from there. We would try to make an appointment to meet with her and look at places. Because we were not fussy, we figured one of them would be adequate. The point was to find a place where we could unpack the suitcases, have an address, get stuff done, like bank account, social security change of address, and all that kind of stuff, and then start hopping on a bus to various places so we could see what other places are like. At first we wanted to rush out and adopt 4-legged-furry people from the nearest shelter, so we were looking at places where they were allowed, but Bill said maybe we should wait until we were more settled and I agreed. That turned out to be the right call. Anyway, the agent called us back on the Monday and we spent the day playing phone tag, but at the end of the day, we had an appointment for the following afternoon. We had little time because we had to catch the bus back to Galway, but we looked at a couple of places, chose this one, filled out the application, gave her a deposit, and left. It all took about half an hour. Had she not called us back, we had other agents with multiple listings to call in other towns. 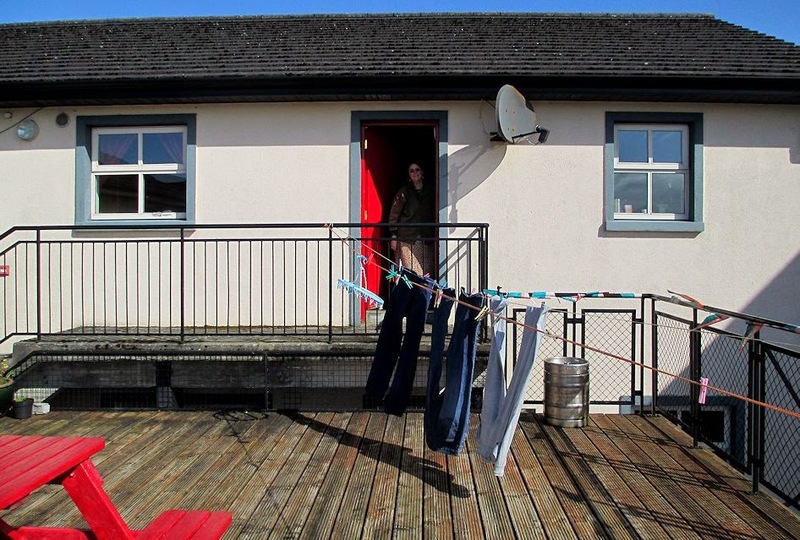 The point was that our week in the BnB was up that Thursday and while I loved the place, was quite comfortable there, and would’ve gladly paid up for another week, I knew that from a cost-effectiveness standpoint, rent would be better. Plus we could get going on all of those practical life details if we had an address. When I called the agent and left her a message, I came right out and said that we wanted to rent something quickly and we were quite sure that one of her listings would be satisfactory--I wanted her to know that if she called and met with us, she would be rewarded in the end--LOL. And as we were leaving and I thanked her, she commented, “Not a bother. That’s one job done.” If she’d not called for whatever reason, we would have simply called the next agent with a few listings and we would be in some other town now! As it’s turned out, this is a good place for us to be at the moment. It is compact and everything we need is right here within easy walking distance. 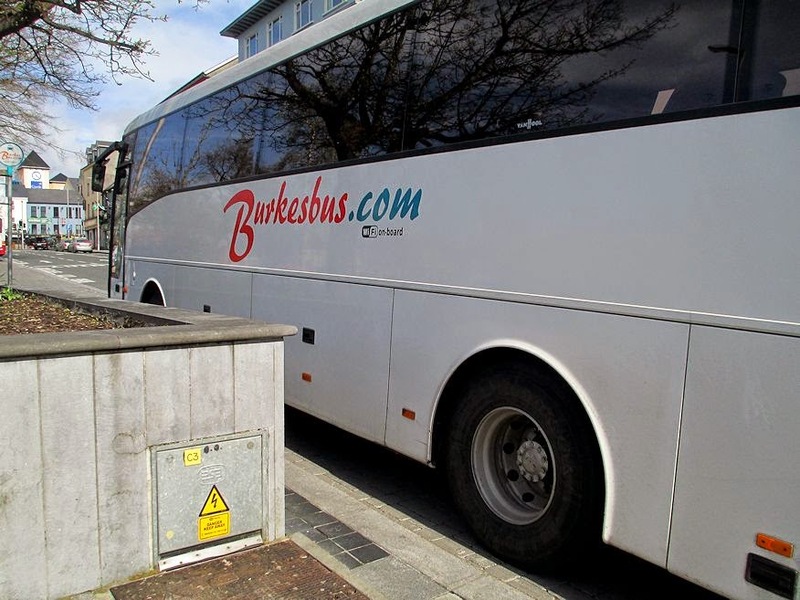 If we want to go further, we can either take Bus Eireann (north or south) or the aptly named Burke’s Bus which goes into Galway 6 mornings a week and returns 6 evenings a week. 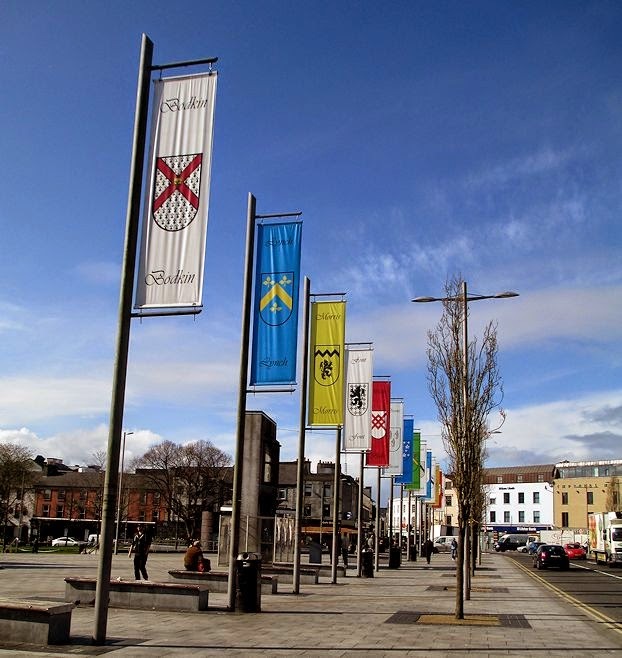 It’s right on Eyre Square, across from the Galway bus station, so we could easily catch a bus into the city and from there go farther afield. We plan to start doing that once the pesky details of things are worked out. We know that we will probably not stay here longer than a year. The lease is up in about 11 months and I expect we will be moving on at that time. There is the pet issue, for one thing. We could find a place here where we could have pets, no doubt. We might even be able to ask the landlord to allow it. But once we got here and had a chance to breathe, we started talking about what we wanted. This is perfect for now--it’s a great spot for us to get acclimated to the way things are done here. I love the flat--it was great to get a place within a week of arriving in the country. Now we have some time to really think about what we want longer term and to look for it. We both agree that we would prefer to be in a more rural area. We want to be able to hike with our future dogs. This is always my issue--I like the services available in larger places (like good libraries) but I don’t care much for living in urban areas--I tend to get a mild agitation even in smaller urban spaces. I would hate to live in Galway City, and that’s not even a big city. Everything I have read about Dublin makes it sound rather hellish to me, but I suppose I will find myself there at some point as a tourist for a day, although I would never seek to live anywhere near there. It’s just not my thing. When we lived in Fairbanks we lived on 3 acres in the woods, just north of town, and I liked that. Harder to do that kind of thing without a vehicle, though, and of course, one would have to go into such a situation with no expectation of good services and stuff like that. I am getting acclimated to the latter issue here and as for the transportation, we are thinking about looking into getting bikes to solve that problem. Obviously a bike wouldn’t allow us to live in the middle of nowhere, but it would give us more flexibility and we could live further outside of town if we had bikes. So we will look into getting bikes and taking bike maintenance and repair classes. That is another thing we can do here. The timing is great, too. We’re getting the details worked out and will have the summer to explore.